Ardent Driving School . 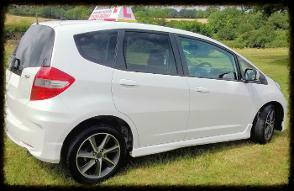 . . Alton /Odiham/Local Areas . . . Competitive Prices ! Quick Links : Prices Guide ? Licence Requirements ? Maintenance Questions ? Services ? Driving Test ? Ardent aim to give customers the highest standard of driver tuition to prepare learners for today's driving conditions. All learner training is 1 to 1 and the pupil develops their skill with the same Instructor throughout the course following the approved DVSA Syllabus. Situated just north of the Golden Pot, Ardent is a well established Alton area based company providing service to the local region. For a list of the services offered please see our Services page or visit the Prices page for current lesson fees. 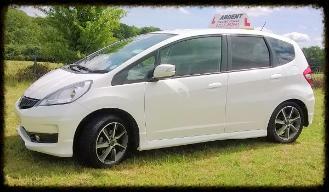 Ardent strive to ensure all lessons are enjoyable but realistic to prepare the pupil for independent driving post test pass, so why not give Ardent a ring on 01256 862 861 and try that first lesson without obligation. 1st Hour Intro' Lesson, Just £10.00 ! Buy a block of 10 Hours - Get 1 Hour Free ! Buy a block of 20 Hours - Get 3 Hours Free ! Introduce a friend - get a Free Hour yourself !
" Pay as you go " by the Hour or 2 Hour if preferred ! *Notes -The above Block Bookings packages must be paid for in advance before discount hours can be given and must be used within 6 months of purchase. All pupils must have the appropriate documents to drive on U.K. roads, See driving licence requirements page for details. If you like us, give us a Poke . .